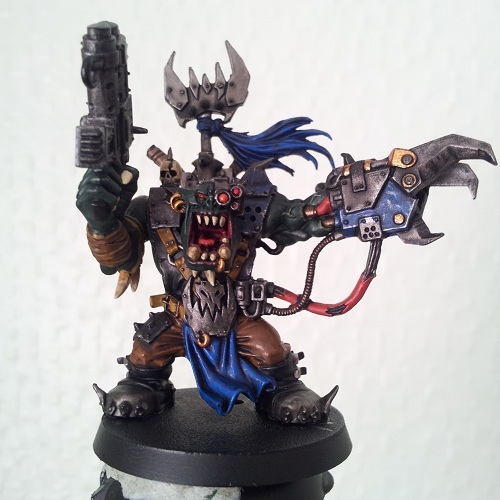 Recently, I’ve been doing a lot of painting of my Warhammer 40k Space Orks. I’ve fallen behind my grand plans of having my fully painted army, but I started telling myself that ‘I’ll never finish it if I dont do it’. The other day, I decided to finish my half-painted Warboss as something that I should really do. 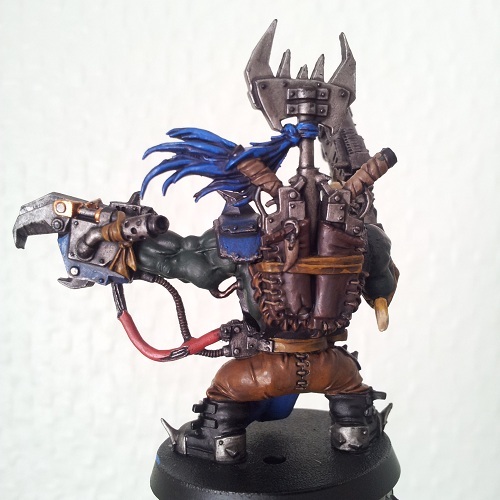 Now usually, my orks are painted to a decent tabletop standard with quite a simple colour scheme but I when I have a special character or unit, I like to go the extra mile and do some extra. This time I’m trying to do that with my Warboss, with the help of a guide on the GW site you can find here. Using that as well as the Eavy Metal Masterclass book, which my housemate kindly leant me, I’ve gotten some extra tips on how to do this. One thing I’ve been having trouble achieving is the correct tone of skin that I want to achieve. With my orks I’ve aimed to be a little faithful to some of the background (aka ‘fluff’) that orks get bigger and darker as they get older. 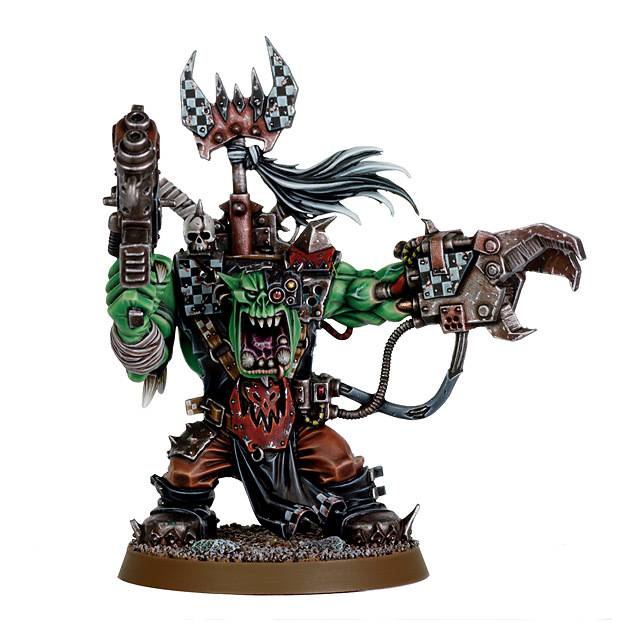 To my understanding this would mean that a Warboss is the biggest and subsequently darkest, followed by Nobz then Boyz & other troops then Gretchin being the lightest shade. I always find that ‘senior’ Ork models I see online are too bright for this. Sometime, I’ll show my Warboss next to one of my Nobz, Boyz and Gretchin so you can see the idea of the tones I aim for.